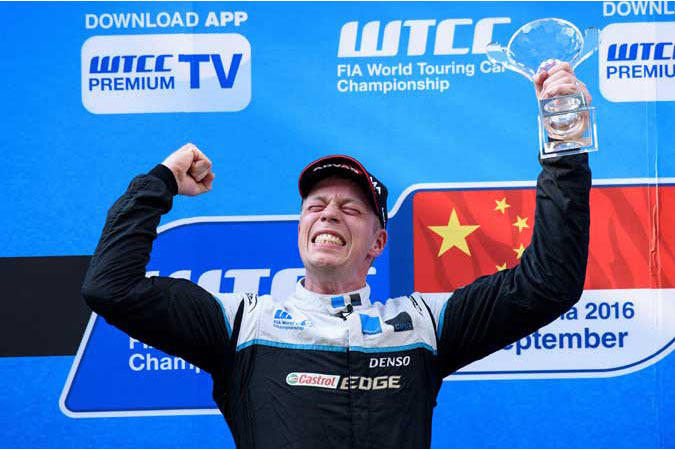 Thed Björk claimed his, Polestar Cyan Racing's and Volvo Cars’ maiden FIA World Touring Car Championship (WTCC) victory at Shanghai International Raceway today. The victory made this weekend historic for the team, with Richard Göransson securing the fourth consecutive double Scandinavian Touring Car Championship title yesterday. ”What a race and what a victory! This is such an awesome feeling after all the blood, sweat and tears the team has put down this year. I rank this victory as one of the best in my entire career,” said Thed Björk. Björk started sixth and fought his way up through the field, setting the fastest lap of the race to catch race leader Norbert Michelisz with three laps left. The two started a furious fight for the lead, with Björk passing him in the penultimate corner of the very last lap. 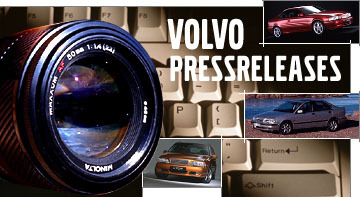 The duo made contact in the overtaking manoeuvre, resulting in a broken suspension for Björk who still managed to claim his, Volvo’s and the team’s first ever world championship victory. ”I was much faster than Norbi who did a really good job defending. We made some contact but I was determined to get past and I made it work. The feeling to win the race after such an intense end to it is indescribable,” said Thed Björk. 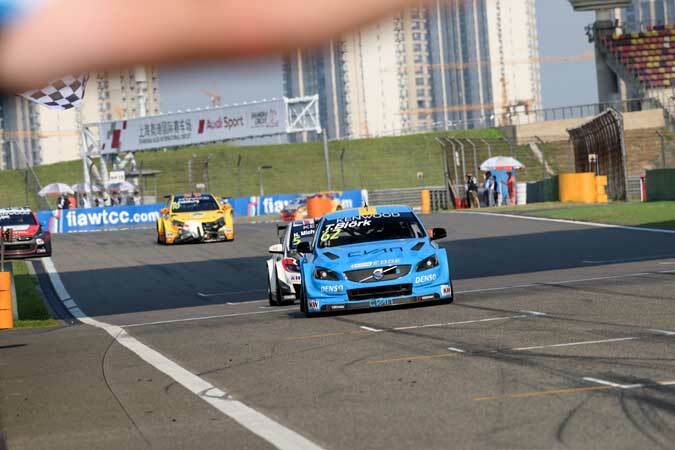 Team-mate Fredrik Ekblom made a strong return to the championship after focussing on the testing programme of Polestar Cyan Racing since the races in Russia in June. The three-time STCC champion finished in the points of both races, with eighth in the first race and sixth in the second. ”This has been a good weekend, both for me personally and especially for Thed and the entire team with our first victory. It was rewarding to see the progress that has been made and although there of course is a lot of work left for us, this is a great receipt of that we are heading in the right direction,” said Fredrik Ekblom. The victory has elevated Björk to eleventh position in the championship, just 20 points from breaking into the top ten. 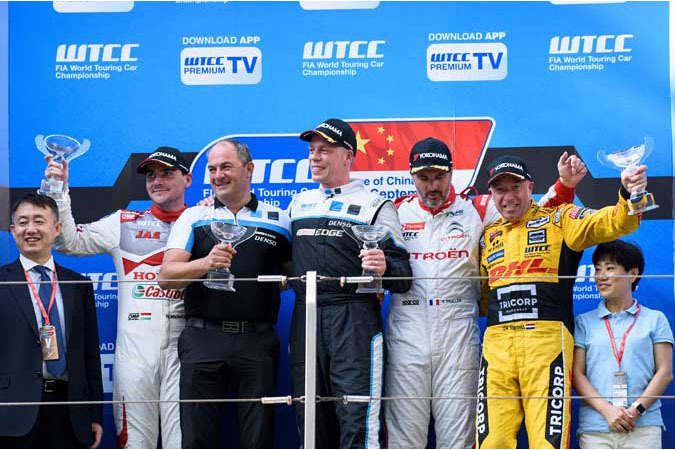 ”This has been an amazing weekend with a fantastic race and a fantastic first victory for Thed, us and Volvo Cars. We have had many guests and commercial activities connected to this race, so to be able to deliver a win here is of course special for us. This victory is also an important morale booster as we have a lot of work ahead of us to be frequent in the top of the championship next year and beyond,” said Alexander Murdzevski Schedvin, Head of Motorsport at Polestar. Next up for Polestar Cyan Racing is the season finale in Qatar on November 23-25.